*14.6.1cm of fresh snow has fallen since yesterday morning and at 7:30am today the temperature was -5°C. This morning we are going to walk around Hangetsu Lake on snow shoes then take an onsen at Hirafutei. This afternoon we have to drive to Chitose Airport to pick up a friend. Good Look: JP Walker Online VideoPart from PEOPLE FILMS (The People Crew) on Vimeo. I’ve been checking your website now for about a month and have been relieved by the snow reports as well as grateful to you for reporting. 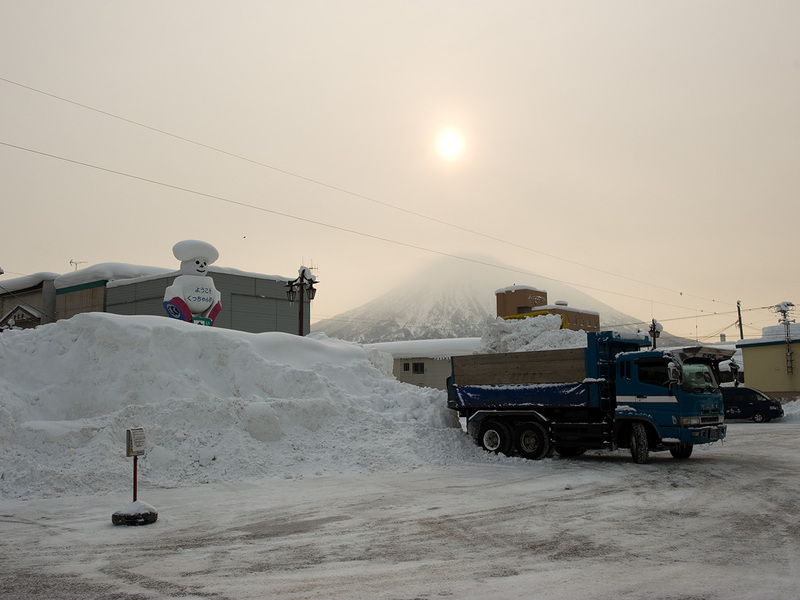 I am coming to Niseko, with my husband and my two teenagers, to visit my brother in-law and his family for Christamas vacation. So thank you for keeping me posted and if you have any tips or advice it would be greatly appreciated- especially regarding renting snowboards and wehter it would be worth bring our own boots. We’re stoked that you like our reports, thanks for the support. Our friends at Rhythm Snow Sports have a huge range of equipment to hire for all conditions. Get in touch with them as they are far better placed to provide expert advice on that sort of thing than we are. We will get some new blog posts out soon with other useful information. Let us know if there is anything your looking for other than equipment.